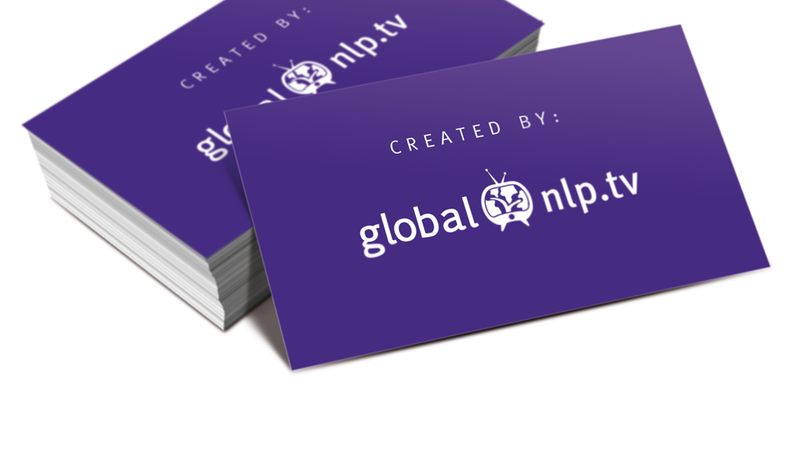 Global NLP Training is the first NLP school to combine part of their program with Social and Emotional Intelligence training, and the MBTI® Personality Type Tool. 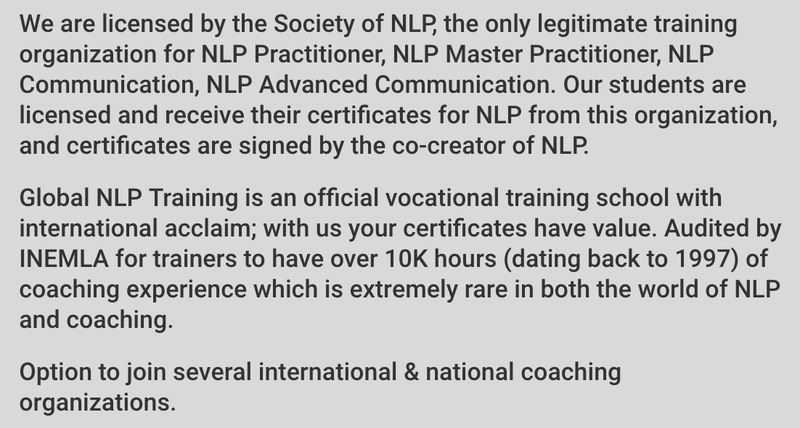 Certification will be issued by Global NLP Training. 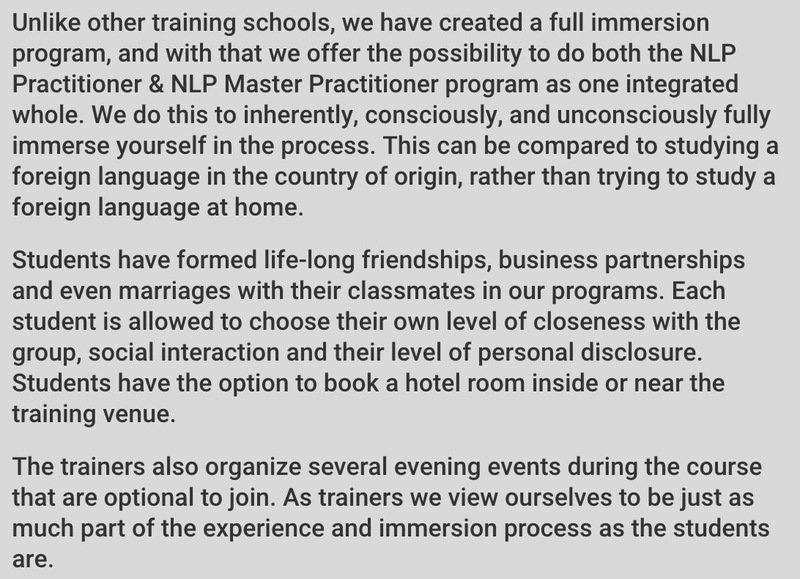 Global NLP Training teaches you how to become an even better NLP Master Practitioner, by understanding how different personalities and emotions determine how NLP based coaching techniques can be designed and applied to be more effective. 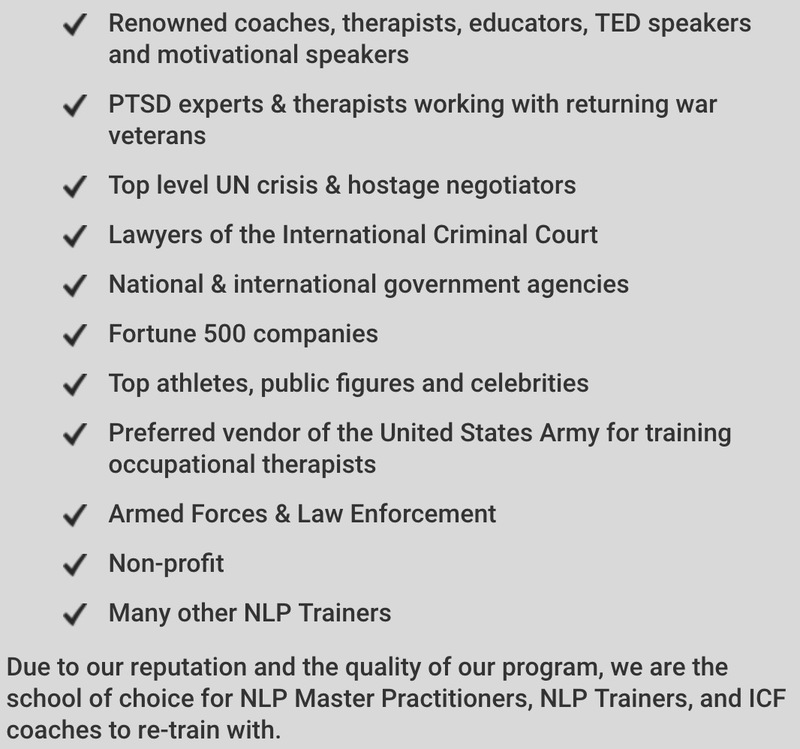 Global NLP Training has developed a unique methodology in using NLP with these competencies in mind. Depending what definition of NLP you use, Social and Emotional Intelligence inherently is NLP. It is about subjective experience, about change, and about managing emotion. It operates in the NLP trinity of: Internal States (emotion), Internal Computation (thinking), and Eternal Behavior (physiology.) If one changes, the other is automatically affected. 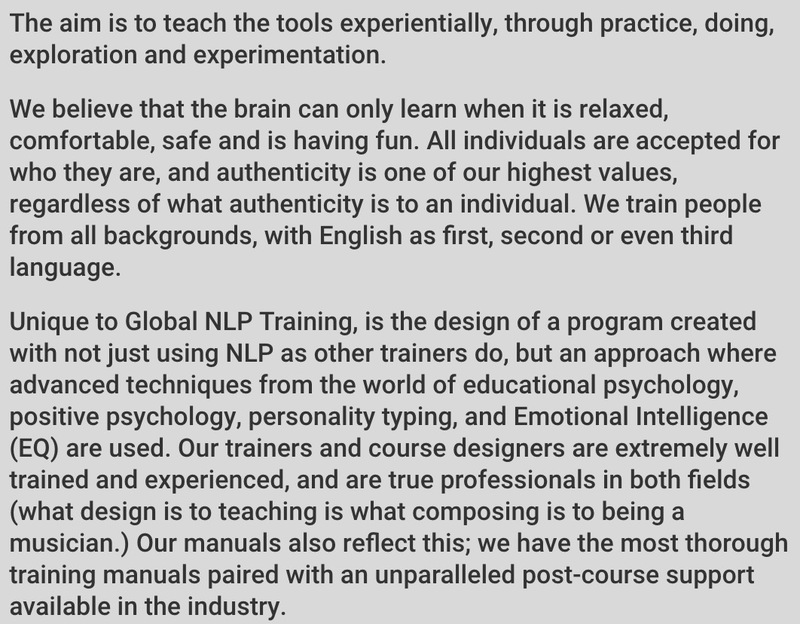 It is unclear where NLP ends and Emotional Intelligence based competencies start. 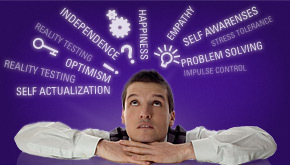 NLP focuses on the processes and representations in our mind based on which we produce emotions. Emotional Intelligence helps us understand and identify emotions better, and how to respond to them. Example: When someone is down or melancholic about a failed project at work, NLP suggests changing the way we code the experience in our mind. NLP also offers techniques to linguistically re-direct the client in more positive thinking (towards what we do want, instead of what we don't want.) An older form of NLP also offers techniques to reframe the situation. 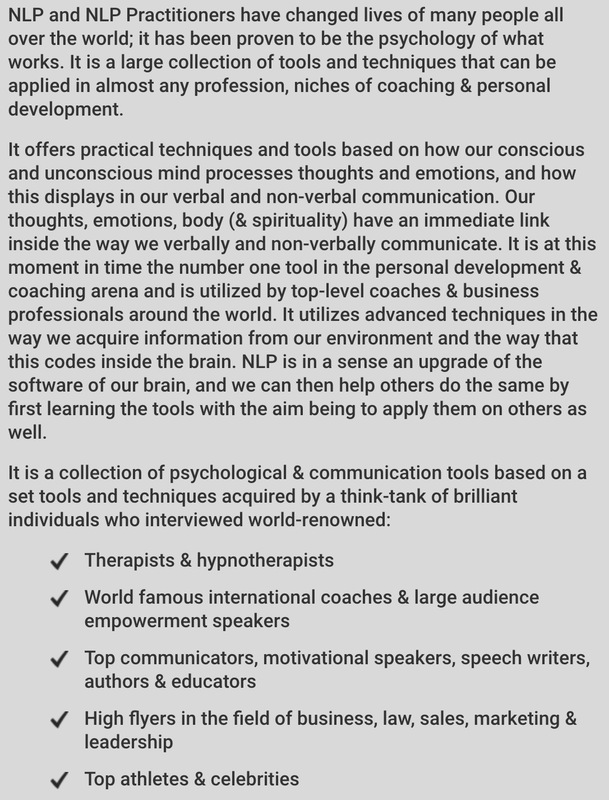 This will produce a state change quite quickly if done by a well trained NLP Practitioner. Emotional Intelligence based training teaches us to question our doom and gloom thoughts for their validity, reframe the situation, and re-direct thoughts to more a more optimistic view. Emotional Intelligence also suggests scheduling pleasant and distracting events. Emotional Intelligence help us to navigate the social and professional environments we face on a daily basis. The MBTI® personality typing tool is based on preferences we have for introversion, extroversion, intuition, sensory based experience, feeling, thinking, perceiving and judging. Based on these preferences, peoples behaviors, the way they perceive, judge, and make decisions display a predictable pattern. Our mind is a filing mechanism based on which we determine our responses. 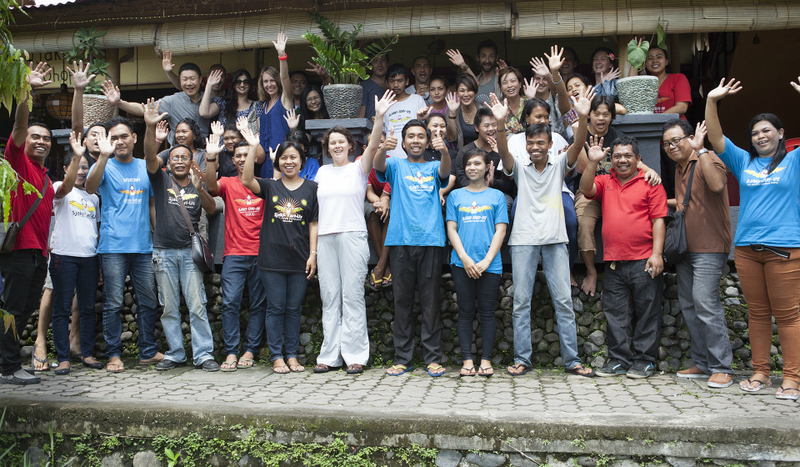 NLP deals with the response as a result of coding of experience. 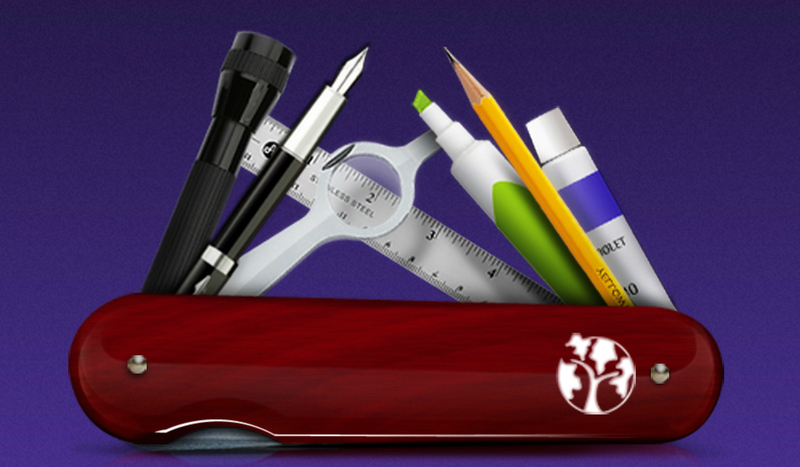 The MBTI® assessment tool predicts how we are going to behave, most of the time, in certain situations. Not so much based on illness or pathology, the MBTI® tool strictly focuses on preferences of different (healthy) people with various personality types. Example: An extravert according to the MBTI® tool may do well in professions where people skills are required, people whom gain energy from being with others. Knowing that someone is an extravert, creates a certain predictability of behavior where it comes to being with other people. 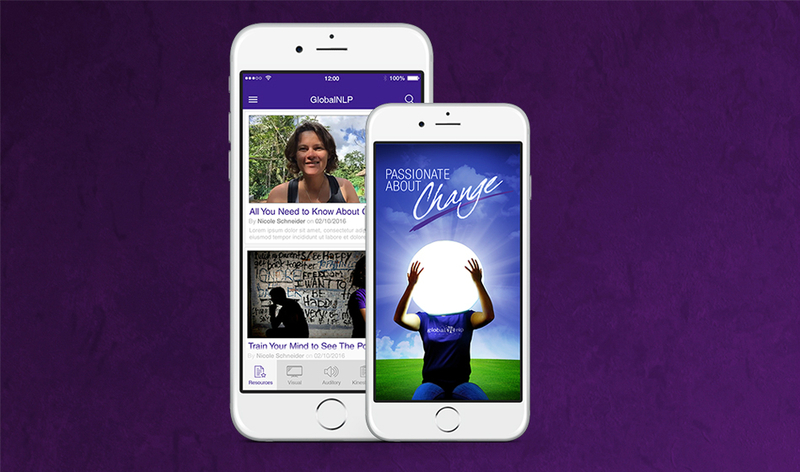 NLP determines how we respond to being around people, based on how we code that experience in our mind. We can re-program the coding using NLP techniques, this makes it for instance possible to change someone to respond like an extravert in a certain context, instead of an introvert. Having knowledge about personality type give us additional tools for persuasion next to the techniques NLP teaches. In addition the MBTI® tool offers invaluable knowledge where it comes to relationships, team building, career guidance and recruitment. NLP metaprograms are general patterns that determine how we respond to a certain situation, what we are interested in, and where we focus our attention. 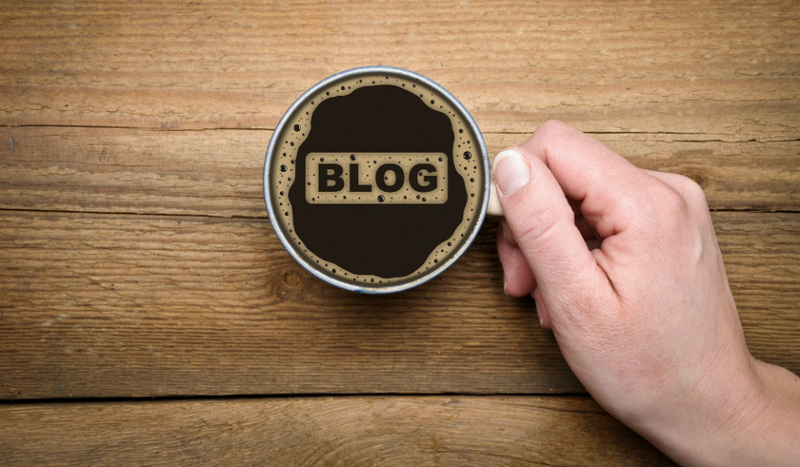 You can observe Meta programs fairly easily in our habits, behaviors and language. Meta programs are an important key to our motivation and decision making, which is why understanding them, gives you a great advantage. It can give you an advantage in coaching, and providing therapy. 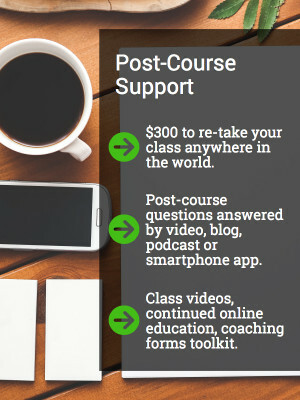 It helps you sell, manage, and persuade.